They say money can't buy happiness and Neymar's latest confession feeds that theory. "It's my birthday, but now I am not going through a happy moment in my life," the Paris Saint-Germain forward said, visibly emotional. 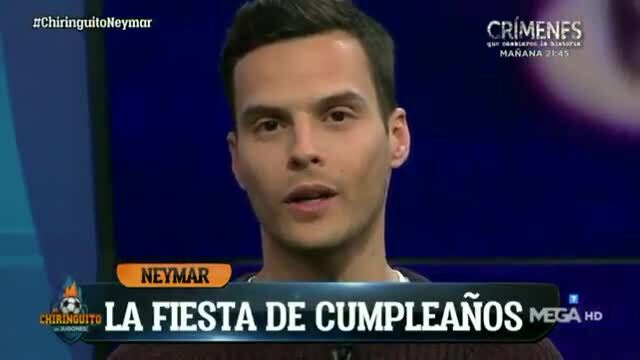 The Brazilian star was supposed to be celebrating turning 27. As is usual, Neymar threw a huge part for his birthday at the Pavillion Gabriel on the Champs-Élysées. There were 500 guests. The rule was everyone had to wear red, given it was called the 'Red Party' as Red Bull are one of the forward's personal sponsors. It was a long night full of music, laughter and partying, but there was also room for emotion. The most heartfelt moment of the night arrived when, unexpectedly, Neymar took the microphone to talk about his current mood. "It's been really tough to be with crutches all this time," said the injured player, tears in his eyes. "I feel angry and sad not to be able to be on the pitch, fighting with my teammates." Neymar will be out for around 10 weeks due to an injury he suffered last month to a bone in his foot. He will not undergo surgery, instead opting for conservative treatment. It's the same injury which saw him miss the second half of last season. Speaking of the pain in his foot, he said that if he could have chosen a present for his birthday "it would have been a metatarsal [bone] to be able to play."